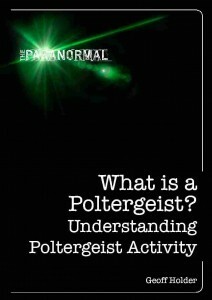 ‘What is a Poltergeist?’ is a web miniseries from author Geoff Holder, where theories and beliefs about Poltergeists, both historical and contemporary, are discussed. Geoff shares stories and discoveries from his books ‘Poltergeist Over Scotland’, and ‘What is a Poltergeist?’ and attempts to shed some light on this age old mystery. Each part of the series discusses varying belief structures surrounding poltergeists, from ghosts and witchcraft through tulpas, demons and even invisible vampires (!) to modern parapsychological and geophysical interpretations of the phenomenon, before Geoff reveals his favourite pop culture poltergeists! The entire miniseries is also available as a complete segment through the Geoff Holder youtube channel.